ATLANTIC BEACH, Fla. – Lawyers sharply debating whether to preserve the statewide standard for admitting expert testimony focused so tightly on civil cases that they overlooked the criminal field. Their error caught up with them on Oct. 16, when governors of the Florida Bar tabled a committee’s recommendation to preserve the current standard. Criminal defense lawyers on the board called for the delay, arguing that the current standard results in wrongful convictions. One of them wanted to know how many criminal defense lawyers were on the committee that studied the standard, and the answer was one. The committee had 30 members. Even without delving into criminal law, they fell far short of consensus. Sixteen members recommended the current standard, and 14 recommended a standard that the Legislature added to its rules of evidence in 2013. Lawyers for plaintiffs in civil cases generally favor the current standard, which the Legislature sought to erase at the urging of business owners. The Legislature’s standard hasn’t earned solid status in Florida courts, because the Supreme Court hasn’t decided whether to adopt it. Under the Florida Constitution, the Court must adopt legislative rules about substance but may reject legislative rules about procedure. The Court adopted the current standard in 1985, relying on a 1923 decision of the U.S. Supreme Court in Frye v. United States. Frye requires general acceptance of new or novel expert opinions prior to court approval, but it imposes no limit on other opinions. The Legislature’s standard follows a U.S. Supreme Court decision from 1993, Daubert v. Merrill Dow Pharmaceuticals, now in force at all federal courts. Daubert requires judges to evaluate experts and their testimony, and it provides for hearings on their qualifications. After the Legislature enacted its rule, the Supreme Court asked the Bar for help in deciding whether to declare it substantive or procedural. The Bar referred the rule to its committee on the code and rules of evidence, which issued majority and minority reports this May. They further wrote that the Legislature didn’t explain why the Court should depart from standing decisions on an issue wholly within its own domain. “The Court should follow the common law tradition and not depart from its precedent,” they wrote. They wrote that Daubert greatly expands areas subject to challenge. They wrote that parties in federal cases frequently move to strike all experts offered by the other side. “Indeed, federal courts commonly must conduct multi-day Daubert hearings at substantial cost in time and money,” they wrote. They wrote that in family and juvenile cases, parties must participate in hearings or surrender their rights on the merits due to lack of resources. They wrote that some would be unable to find contingency counsel and many would be unable to afford hourly rates. They wrote that Daubert would bring Florida into conformity with federal courts and courts of neighboring states, and would help to eliminate forum shopping. At the meeting of the Bar’s governors on Oct. 16, at Ocean One Resort, Wayne Hogan of Jacksonville presented the majority report. “We are long past the point where the Legislature and the Supreme Court were on the same page,” Hogan said. He said the Court isn’t obligated to adopt special interest legislation. “As Martin Luther King said, it’s always the right time to do what’s right,” he said. He said the committee received a plethora of comments. “A lot of them came from CEO’s, the U.S. Chamber of Commerce, the Florida Chamber of Commerce,” he said. “It was those groups that sent letters to editors attacking the judiciary. Jay Cohen of Fort Lauderdale said Daubert would require mini trials, and asked what would happen to dockets in a crowded system. Hogan responded: “It’s beginning to happen now. Judges are trying to comply because they don’t want to spit in the eye of the Legislature. Foster-Morales said she felt uncomfortable and wanted to make sure what was best. She asked if there was any negative about waiting until December. Hogan responded: “This vote is a procedural step to give the Supreme Court an opportunity to set it on its docket and hold hearings. For the minority, David Jones of Orlando said a vote was more than procedural. Jones said the Supreme Court specifically requested the board’s thoughts. He said that when the Legislature changes the evidence code, trial courts use it until the Supreme Court decides to incorporate it into its rules. He said the Court’s approval of a legislative rule is typically retroactive. Jones responded to Hogan’s comment on special interests by saying 35 states and all federal courts have used Daubert for a long time, and that Daubert doesn’t take away the right to trial by jury. He said the test is the same for all evidence and it’s still up to the jury to weigh evidence from competing experts. The burden on litigants or courts, he said, is largely anecdotal. “The goal is justice, not cheapness,” he said. He said Daubert would be significant only in significant cases. “As of now we are kind of forcing our jurors to be amateur scientists,” he said. Ronald Ponzoli of West Palm Beach asked if Frye is working. The debate abruptly took a new direction when Michelle Suskauer of West Palm Beach asked for an opportunity to read the comments. Suskauer identified herself as a criminal defense lawyer, and she said the Florida Association of Criminal Defense Lawyers supports Daubert. She said Frye has resulted in wrongful convictions. Miami-Dade public defender Carlos Martinez said, “The public defenders didn’t want to chime in,” and many in the room laughed. Martinez said they were asked in 2013, and they favored Daubert. “There have been way too many wrongful convictions,” he said. 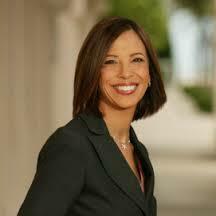 Leslie Lott, an intellectual property lawyer from Coral Gables, counseled caution. “Year after year we go back to the Legislature and say, you have to respect the judiciary as a separate independent branch of government,” she said. Sam Masters, in criminal defense at Daytona Beach, asked Hogan how many criminal lawyers were on the committee. Suskauer moved to table the vote until the next meeting, on Dec. 2 in Naples. The motion carried, 22 to 15, and the meeting adjourned. She said there have been wrongful convictions and executions. “This is something we don’t take lightly,” Suskauer said.